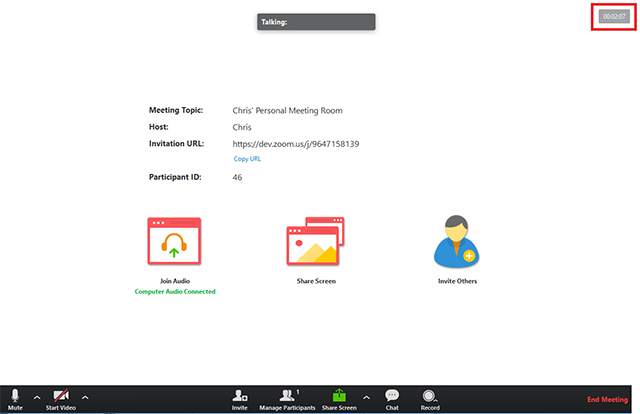 You have an option to include a clock in your meeting or webinar display, showing how much time has elapsed since you joined the meeting. 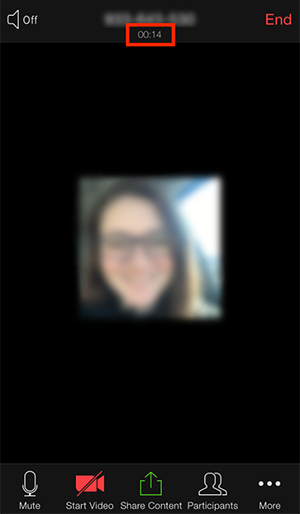 ​Click your profile picture then click ​​Settings​​. 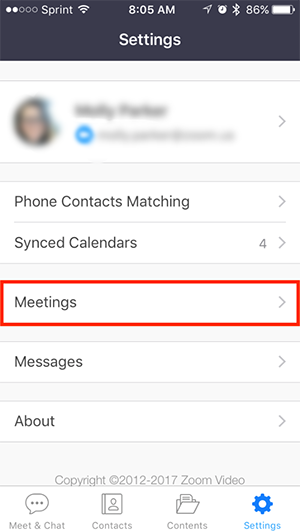 Check the ​​Show my meeting duration​​ option. 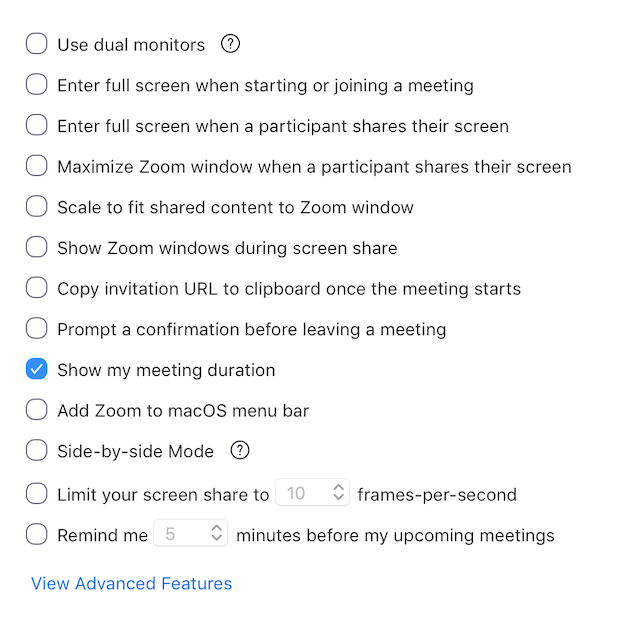 After this setting is enabled, each time you start or join a meeting or webinar, the clock displays in the meeting window, showing how much time has elapsed since you joined the meeting. The clock shows a different value for each meeting participant, depending on when they joined. 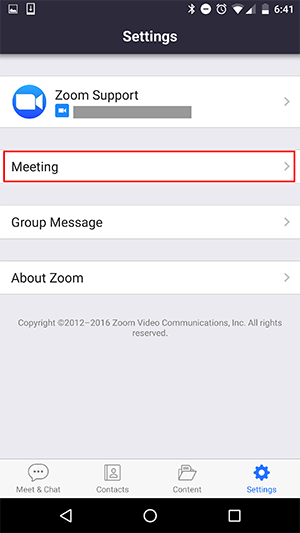 Note that the location of the clock is usually in the upper right corner of the meeting display. However, if you share your screen, the clock displays below the host controls. 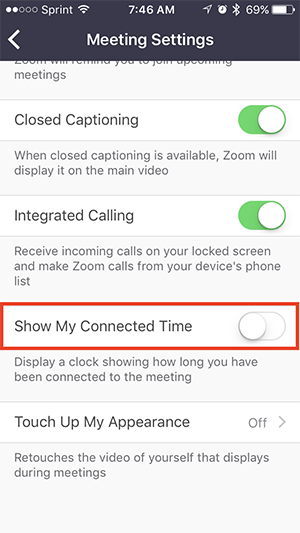 Tap Settings in the Zoom application. Toggle Show My Connected Time to on. 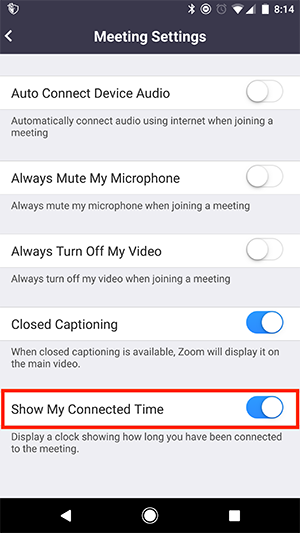 The connected time will show up below the meeting ID if you are not sharing.